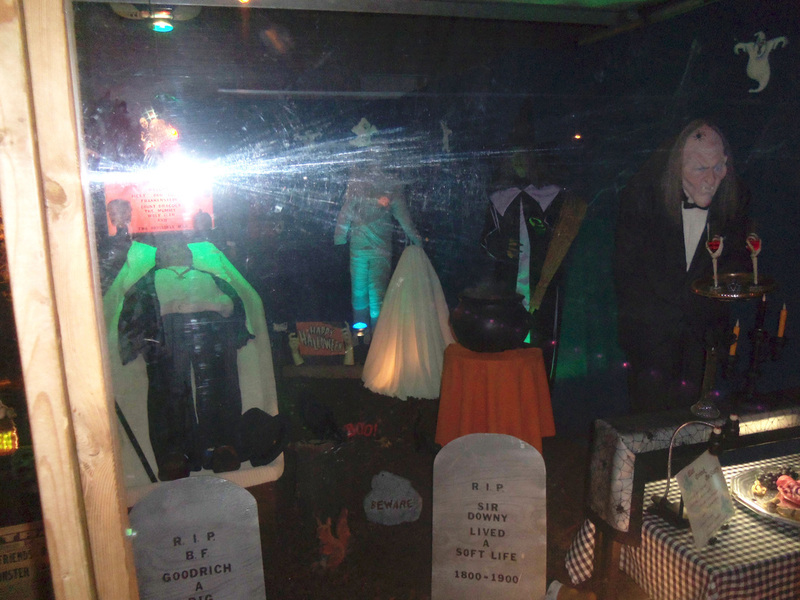 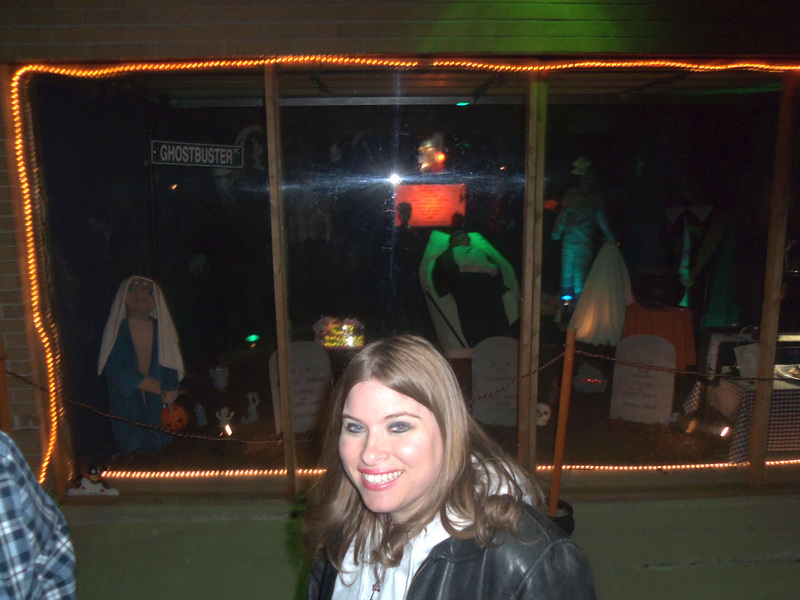 The Monster Mash yard and garage display in Chicago. 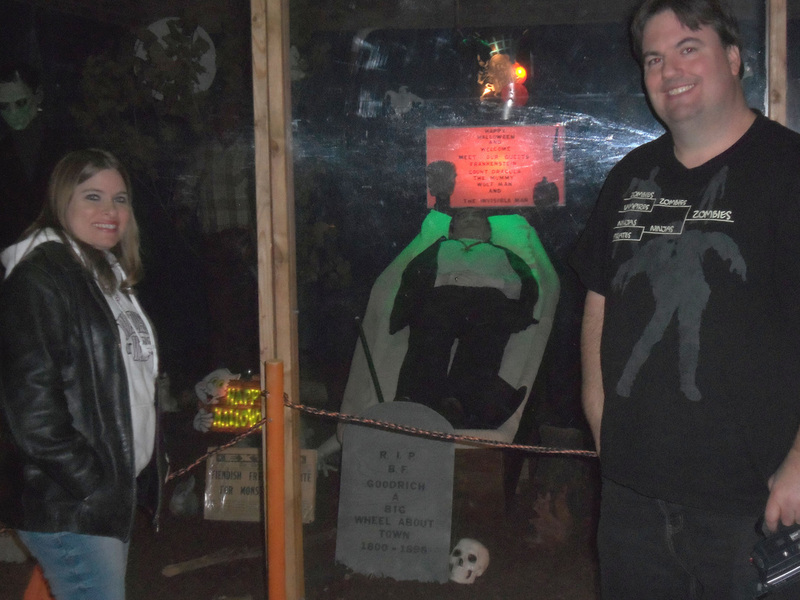 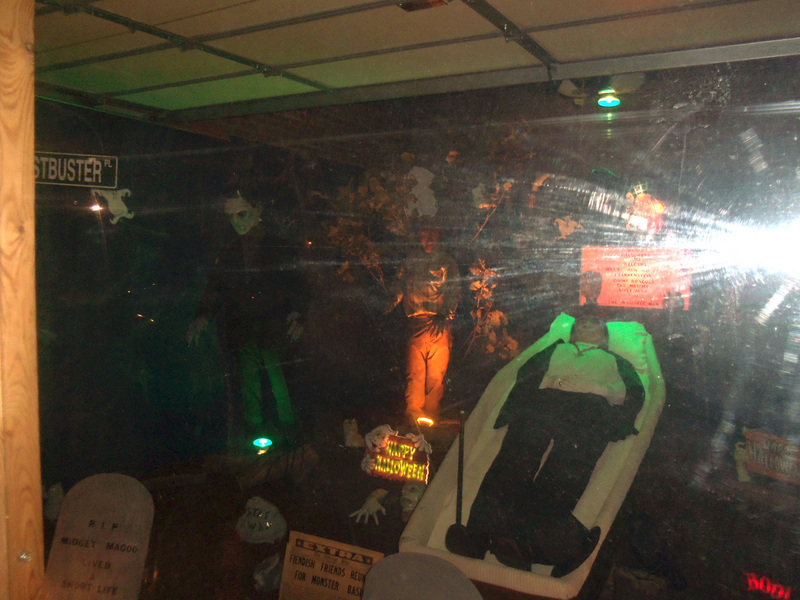 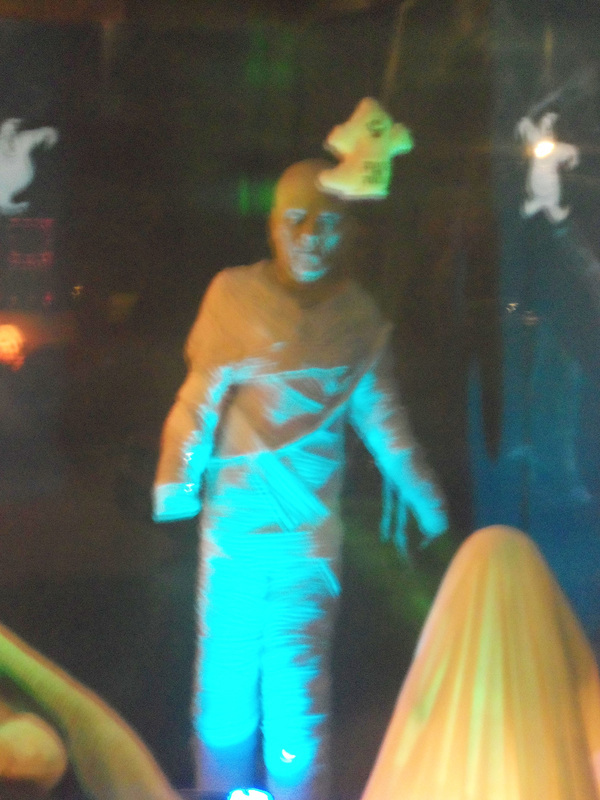 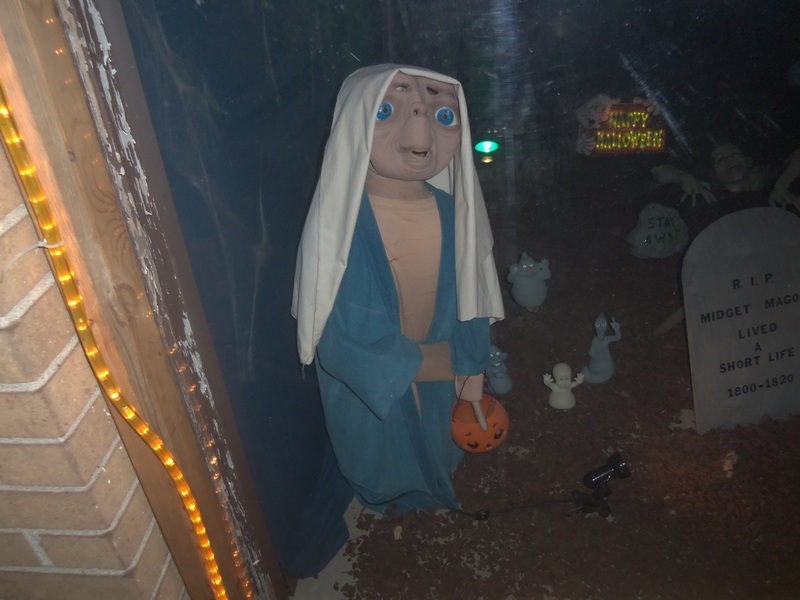 Although small, this is one of the most unique yard displays as it focuses on Universal monsters, such as Frankenstein's Monster, the Mummy, the Wolfman, and even E.T.! 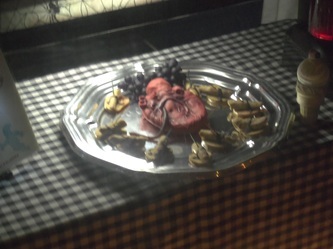 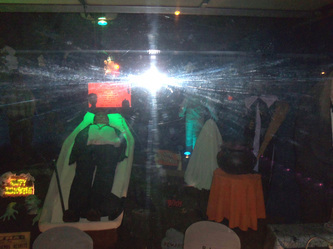 Perhaps the most interesting thing in the display is Dracula in his coffin. 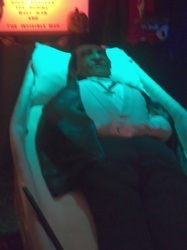 Not only does it look like Bela Lugosi as Dracula, but it looks like photos of Bela Lugosi in his own coffin! 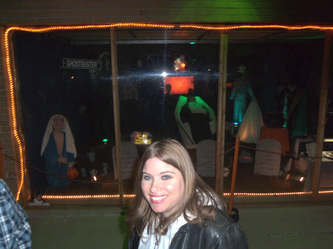 south side of Chicago or near the suburbs of Burbank or Oak Lawn.